Anything FREE is good, isn’t it? Obligation FREE sounds even less threatening. That’s why we want you to talk to Paul Johnson. He promises not to bite. Paul’s impressive title is ‘Customer Experience Manager’ because he wants you to have the best possible experience along your journey to payroll outsourcing. 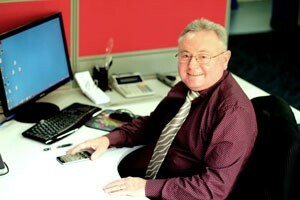 Our team with 177 years payroll experience is ready to assist, if he can’t answer your question. He loves demonstrating the online automated system you will be working with (if that is your style). He’ll give you all you need to take to your management team to approve outsourcing your payroll. Did I mention this service is FREE?